At Lost Earth Adventures, we take the responsibility and safety of our clients and trip leaders very seriously. We specialise in adventurous activities that are quite often in remote destinations. This is adventure at its best, and as with all outdoor activities there is a certain amount of inherent risk to participants and trip leaders. Rest assured, every precaution is taken to ensure the overall safety and enjoyment of our clients and staff. Our guides are highly skilled, experienced and knowledgeable. Guides are hired for their sound judgement and exemplary attitude towards safety. When put in any scenario our guides will always take the safer option. Lost Earth Adventures holds an AALA license for the activities we provide in the UK. This is the highest accreditation that is available from the British Government and means that we meet the high standards set for providing adventurous activities. See our license registered on the Health and Safety Executive website. And to read more about Adventure Activities Licensing click here.  The AALA license does not cover adventures abroad and, at time of writing, there is no applicable licensing for companies providing adventures overseas in regards to safety. However we realise there is a greater level of caution required when choosing providers in the developing world and that other countries may not have the same high standards that we enjoy at home. Legally the only tour operators must follow is that of the country that we are operating in. However there is a British Standard (8848) of rules that adventure travel providers can adhere to voluntarily. Lost Earth Adventures follows this standard on all our overseas expeditions. British Standard BS 8848 is the specification for the provision of visits, fieldwork, expeditions, and adventurous activities, outside the United Kingdom. 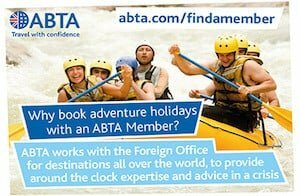 Developed especially for UK organisations that offer adventurous activities abroad it sets minimum requirements to make sure that ventures are planned and managed with care. We have a robust set of operating procedures in place and we only use appropriately qualified staff. At Lost Earth Adventures we pride ourselves on having highly skilled, experienced and qualified guides on all our treks and we are continually investing in training programmes to boost their professional and personal development. Our Operating Procedures are available on request and you can visit the following pages to read more about our guides and technical advisors. We have an operations centre in the UK supporting all our trips 24/7 and staff in country on hand to deal with any issues, day or night. We have Remote Medical Support, meaning both our operations centre and in-country staff have access to specialist doctors at every point in the trip. Every step of the trip is planned with evacuation measures in place, meaning both participants and those at home can be reassured that our teams are properly equipped to deal with any emergencies or incidents as they arise. Lost Earth Adventures apply the same standards to all of our trips, be they in the U.K. or abroad. However it is important to understand and accept that many of the places we visit do not have access to the same level of emergency health and safety services that we are used to in the UK. In the same way road transport can be uncomfortable and unreliable, and hotels often do not meet the standards expected in countries such as Europe or North America. Your money is secure. The Package Travel Regulations 1992 require us to provide security for the monies that you pay for package holidays booked from Lost Earth Adventures and for your repatriation in the unlikely event of our insolvency. Read more about how we protect your money. The Package Travel Regulations were created to protect the interests of consumers when buying holidays. Anybody who sells a holiday in the UK is subject to the Package Travel Regulations. Read more about the Package Travel Regulations. We have detailed risk assessments for every activity we run. Lost Earth Adventures has full public and product liability insurance. All staff working with children have undergone DBS (formally CRB) checks. All of these documents are available on request. To read reviews from our satisfied past clients please visit our Review page.